Our revenue share program is a fantastic way for us to work together. We have the most rewarding revenue program for any cryptocurrency company out there. Affiliate marketers, website publishers, and software developers can get started in minutes by placing our Publisher Widget on your page, or you can do a more robust integration with our REST API. More information below. Share your affiliate link, earn commissions, be a part of the best on-boarding crypto experience! Generate passive income just by sharing your links! Let your visitors buy and sell Bitcoin without ever leaving your website. 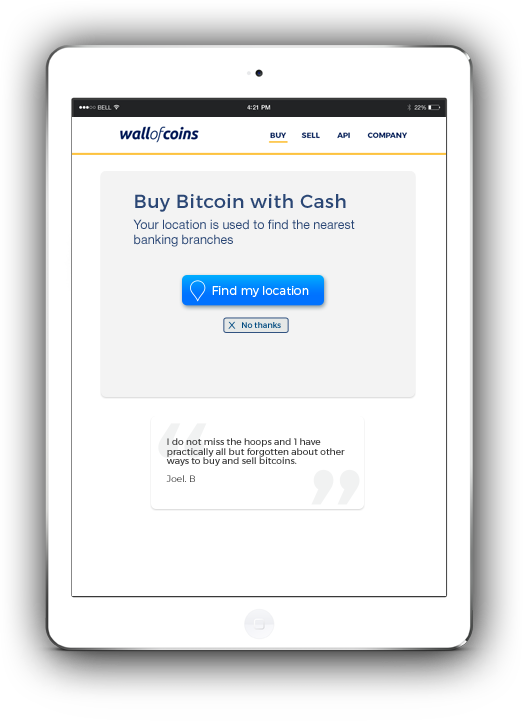 Let your visitors buy and sell Bitcoin all within your app. Register to get accessto the Rest API!